Apply Lok-N-Load™ thread lock compound from Citadel Casing Solutions to your casing, tubing, or drill pipe and be rest assured you’re ready to run and gun downhole. Lok-N-Load keeps joints from loosening while running casing or drilling through the shoe-track, and replaces welding on the bottom of casing joints. A Lok-N-Load kit contains a two-part epoxy (base resin + catalyst), along with a putty knife and instructions for use. Each Lok-N-Load kit is 8 ounces. Each case is 12 kits. 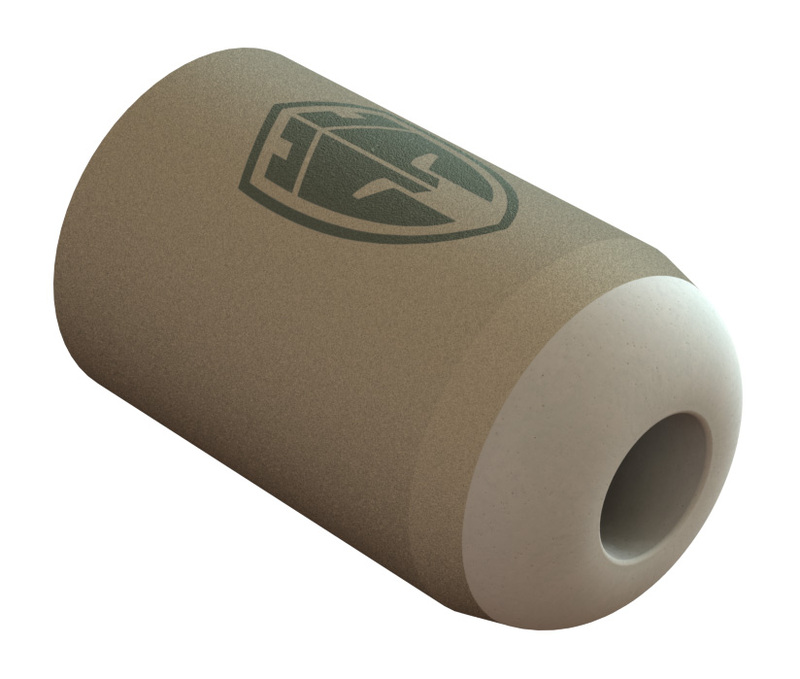 For each case of Lok-N-Load you buy, we’ll throw in a Citadel Casing Solutions T-shirt. Using a PDC bit to drill through downhole components used in the cementing process is always challenging. From drilling the float collar, through the shoe track, and through the shoe, the objective is to get it drilled as fast as possible while inflicting the least amount of damage to the drill bit. Harder materials take longer to drill, and tend to damage bits before they can drill new formation. The challenge for drillable equipment is maximizing strength and durability while reducing drilling time and bit wear. When designing drillable products, the engineers at Citadel Casing Solutions took advantage of engineered plastics and composites as a substitute for aluminum and cast iron components of legacy systems. The result is a line of equipment that is easy on PDC bits and drills faster, eliminating the need of a clean out trip, and enabling faster ROP through the next hole section. Citadel’s composite components employ a design that meets the stringent requirements for well integrity and downhole performance, yet facilitates drillout without risking bit damage. The Citadel engineering team is tackling the innovation challenge head on with new and different products for the Casing Equipment and Cementing Tools market. For each of these product challenges, the market has offered solutions for years. Standardization has developed among competitors to the point where each can be categorized as commodity product – with little difference among each player, resulting in price emerging as the only real buying factor that is considered. Our Citadel engineering team is bringing a fresh perspective to these products and strives to deliver a better solution to help our customers improve operational success. For everything we design, we ask the question – Why leave something downhole when you don’t need to? At Citadel, the engineering team seized an opportunity to design equipment to include more components that are recoverable at surface, with fewer components that remain downhole after cementing operations are complete. In some designs, the Citadel team eliminated complex machined components from the top-level assembly, again reducing manufacturing and assembly costs, while improving reliability of the product by reducing potential failure mechanisms. If you can reuse a component, you don’t have to manufacture it again. This results in lower costs and better product availability for our customers. It also improves manufacturing lead time. At Citadel, our technology organization is comprised of skilled and innovative engineers who have a combined industry experience of more than 45 years. We are tackling the innovation challenge head on with new and different products for the Casing Equipment and Cementing Tool market. Our team of engineers has been awarded more than 70 patents representing numerous disruptive technologies and solutions. They are immersed in a company culture that gives them the freedom to focus on solutions designed for use at the wellsite. This experienced team, along with the culture of innovation, provides Citadel with unique capabilities that are simply not found in other organizations. In the world of Computer Numerical Controlled (CNC) machining, the objective of designing for manufacturability is to create components at a lower cost and for easier assembly. Cost of CNC manufacturing is driven by time, so to lower machining costs, time must be reduced for certain machining functions. This includes reducing the number of operations, the set-up time required for each, and the type and amount of material that must be removed from the raw bar stock or tube to achieve the finished component. COMPONENTS: Reduce the total number of parts so that there are fewer items to machine, purchase, inventory, process and assemble. MODULAR DESIGN: Utilize a modular design to simplify the testing and inspection processes, along with improving maintenance and service. STANDARD PARTS: If purchase parts can be limited to off-the-shelf components, the purchase price can be lowered and lead times can be shortened. MULTI-PURPOSE: Parts that are multi-functional reduce the total number of parts required, and help drive down manufacturing costs. SIMPLICITY: Keeping fabrication and assembly simple means reducing processes or design requirements that add little value to the usability and function of the product. Examples may be a design that calls for excessively tight tolerances or one that requires a surface finish that is smoother than necessary. The final cost of a product is directly proportional to the number of parts. Reducing the number of parts increases product quality and reliability. The total number of parts in a product is a key indicator of design quality. By designing new products from the ground up, the engineering team at Citadel is taking a fresh look at improving efficiency in all designs and processes. Component geometries can be designed for speed, tested for functionality and qualified for dependability. An example is the groove that is required in float equipment to hold cement in place. The team at Citadel performed trial testing on seven groove designs and geometries to find the optimal configuration that resulted in the least amount of machining time, yet still met all required specifications. They were not tied to a fixed groove design or configuration that had been developed years ago, or a design that must continue to be utilized in its current form to satisfy internal requirements for product line consistency. At Citadel Casing Solutions, our goal is to revitalize the casing equipment sector, delivering the ultimate in wellbore integrity with the most innovative and progressive tools and downhole products. We live in an engineering-based culture where customer needs come first. We thrive on designing elegant products, solving downhole challenges, and improving our customer’s operational success.